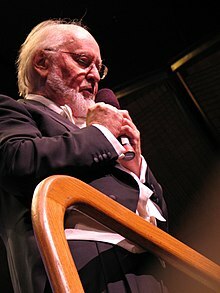 ^ John Williams, el compositor de la aventura. Revista Esfinge. [2013-02-15]. ^ 2.0 2.1 Sony Classical Williams Biography at www.sonybmgmasterworks.com. Retrieved Febuary 15, 2013. ^ Tribute to John Williams, ca. 1991. ^ John Williams Biography at FilmReference.com. ^ Spielberg, Steven. Jurassic Park Audio CD (Original Motion Picture Soundtrack CD) (Media notes). MCA. 1993. 已忽略未知参数|notestitle= (帮助) "...and I consider it a privilege to call John my Friend." ^ The Adventures of Tintin: The Secret of the Unicorn (John Williams). Filmtracks. ^ War Horse (John Williams). Filmtracks. 2011-11-21. ^ The Adventures of Tintin: The Secret of the Unicorn (John Williams) ? MovieCues. Moviecues.com. 2011-11-01. （原始内容存档于2012-04-26）. ^ War Horse (John Williams) ? MovieCues. Moviecues.com. 2011-12-04. （原始内容存档于2012-04-26）. ^ The Adventures Of Tintin: The Secret Of The Unicorn – John Williams ? Movie Music Uk. Moviemusicuk.us. 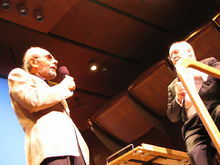 2011-10-23. ^ The Adventures of Tintin: The Secret of the Unicorn soundtrack review | John Williams. movie-wave.net. ^ Winners for the 84th Academy Awards | Academy of Motion Picture Arts & Sciences. Oscars.org. ^ Thursday, December 15, 2011. The 69th Annual Golden Globe Awards NOMINATIONS | OFFICIAL WEBSITE of the HFPA and the GOLDEN GLOBE AWARDS. Goldenglobes.org. 2011-12-15. （原始内容存档于2012年10月29日）. ^ 2013 Academy Award Nominees Announced. mediaite.com. ^ Williams Says He ‘Hopes’ to Work on New Star Wars Trilogy. jwfan.com. 2013-02-11. ^ IOC awards the Olympic Order to John Williams. IOC. May 1, 2003. ^ Remarks by the President at Presentation of the National Humanities Medal and the National Medal of the Arts | The White House. February 25, 2010. （原始内容存档于2011年6月13日）. ^ AFI 100 Years of Film Scores. Web.archive.org. 2007-10-22 [2013-02-15]. 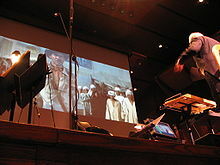 （原始内容存档于2007-10-22）. ^ Great Performances wins Primetime Emmy; John Williams interview. WNET. September 15, 2009 [January 21, 2013]. Moormann, Peter. Spielberg-Variationen: die Filmmusik von John Williams. Baden-Baden: Nomos, Edition Reinhard Fischer. 2010: 797. ISBN 978-3-8329-5355-3 （德语）. Aschieri, Roberto. Over The Moon: La Mứsica de John Williams Para El Cine. Santigo, Chile: Función Privada, sponsored by Universidad Diego Portales. 1999: 400. ISBN 978-4-89799-246-4 （西班牙语）.